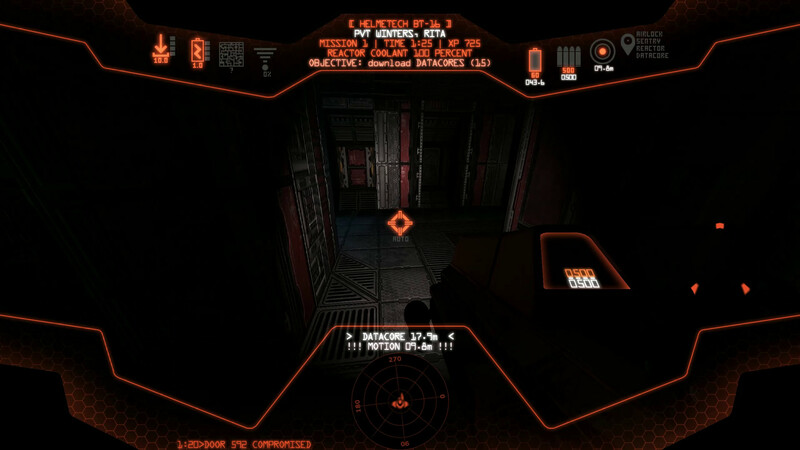 A very hard arcade-style/rogue-like/perma-death first person shooter. Get it on STEAM! 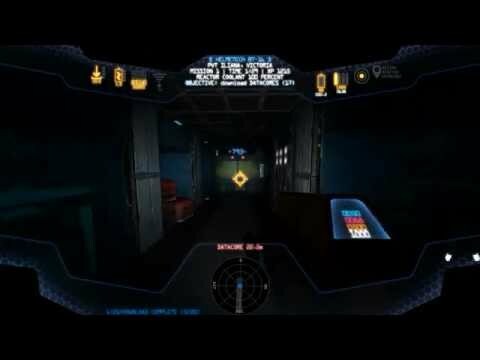 You play as Space Marines who must brave dark, claustrophobic and terrifyingly intense Space Beast infested spacecraft in order to extract critical data and lucrative upgrades. Can you make it out alive? S.B.T.F. 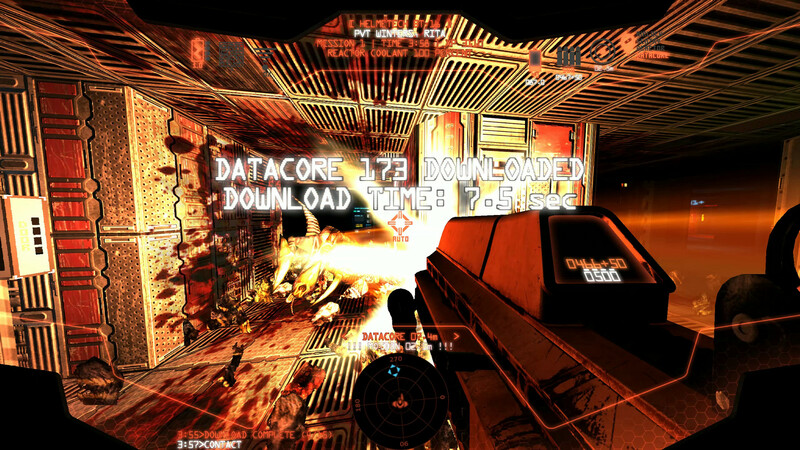 is a very hard arcade-style / rogue-like / perma-death first person shooter. 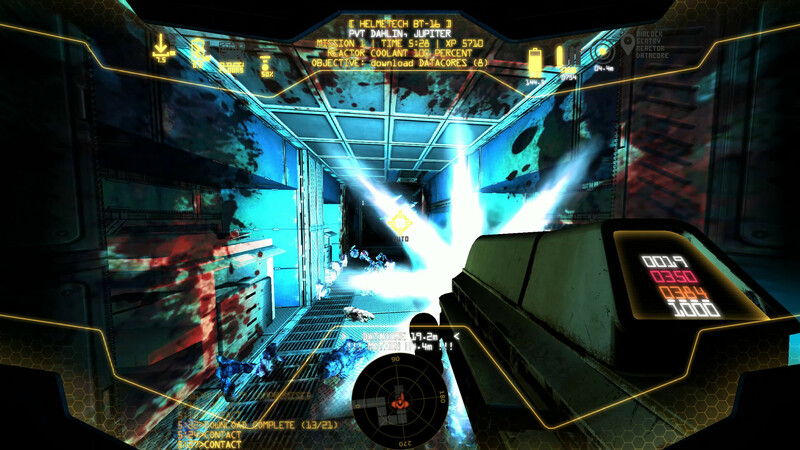 The game revolves around the concept of a procedurally generated maze-like spacecraft which is unique each time, within which the Marines must search out DataCores to be downloaded. The spacecraft are infested with Xenomorphs that are extremely lethal, and the Marines must brave these dark and hostile environments in order to complete the objective of retrieving all critical data and ultimately setting the reactor core to overload. Aside from an all purpose automatic weapon, the Marines initially only have a rudimentary tracker device that detects nearby motion as well as the distance to the nearest DataCore. The DataCores can however contain lucrative upgrades that will empower the Marines with better ammunition, a better motion tracker, and other useful upgrades that will significantly increase the chances of survival. Key to managing the unknown spaces within each spacecraft is the intelligent use of Doors, sealing of sections behind the team in order to keep from being overwhelmed from several directions at once. Closing Doors controls the space, but they also make it harder to flee if the need should arise. Additionally, automated Sentry robots scattered throughout the spacecraft, and these can be activated in order to further aid in stemming the never ending tide of Xenomorphs. Sentries offer a significant amount of additional firepower, and can often be the difference between life and death when the Marines are being overwhelmed. Please note that while Sentries are programmed to avoid firing when Marines stray are in their field of fire, friendly fire incidents can still happen. Once all DataCores have been retrieved, the final objective is to disable all Reactor Coolants in order to destroy the spacecraft. Once this is done the Marines only have 90 seconds to find their way back to the Airlock for extraction. 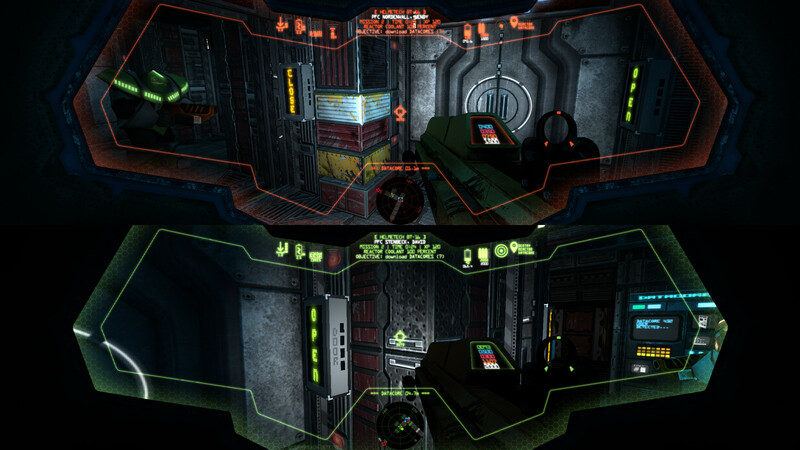 Space Beast Terror Fright employs both procedural level generation as well as a procedurally arranged music scoring. Audio and visuals are all tightly synced to the action in order to deliver a super-intense combat experience that feels like a super intense action movie. 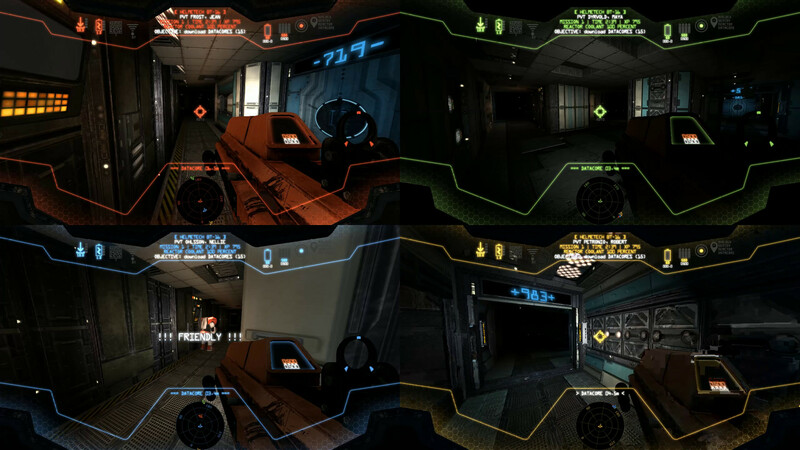 Currently 1-4 players are supported via keyboard / mouse and XBox 360 game controllers (in local split screen co-op).